Buying a home is one of the most expensive purchases you’re bound to make in your life. That’s why it’s so important to get the right mortgage before you sign on the dotted line. A few differences in interest rates or other terms can equate to tens of thousands of dollars either spent or saved. But with so many options available on the market, it’s hard to know where to start. There are traditional lenders and online lenders, local ones and large multinational ones. Plus, many lenders specialize in different types of loans. 3 What should you look for in a mortgage lender? 4 How can you get pre-qualified for a mortgage? 5 What happens after the pre-approval process? One of the best things you can do as part of the mortgage selection process is to compare offers from multiple lenders. While there are certain lending standards a mortgage company must adhere to, each one has flexibility in how they implement them. You might be surprised at how much variation you see in your different offers. Plus, loans can be structured in different ways to accommodate your financial situation or personal preferences. If you don’t have a lot of spare cash on hand, you may be able to pay a higher interest rate to avoid larger closing fees. If you want to lower your monthly payments, your lender may let you pay extra upfront to qualify for a lower rate. It’s also helpful to understand where mortgage rates are right now and where they’re headed. Know your credit score and they type of rate you should qualify for so you can negotiate the best deal possible. When interviewing mortgage lenders, get a feel for their attitude towards lending and see if it’s in line with yours. How is their customer service? Are they pushing you to look at more expensive homes than you originally considered, simply because you can qualify for a higher loan amount? What can they tell you about their closing costs and other associated fees? What kind of down payment do you need and how quickly can you close once you find a new home? These are all questions you should pose to at least two or three separate mortgage lenders. Compare answers and determine which lender can offer you the best financial deal and meet any other expectations you have surrounding the loan process. Now that you know what to ask of your mortgage lender, it’s time to get the selection process started. You have countless options available, from online lenders to brick and mortar branches, from good credit to bad credit lenders. Check out the full list to come up with the best choices for your next home loan. 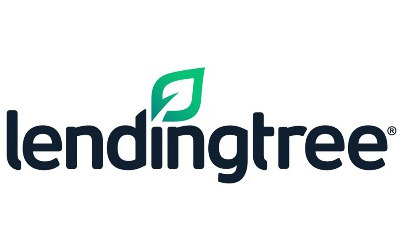 LendingTree is the best if you want to compare multiple offers because rather than being a direct lender, they partner with the largest network of lenders who compete for your business. In fact, you can get up to five different loan offers within minutes of submitting your application. If you’ve already found the place you want to call home, start here. Another great feature is that you can submit a request online for conventional, FHA, or VA loans. LendingTree’s website also provides a ton of in-depth resources for homebuyers, no matter where you are in the process. They provide tips for qualifying for a mortgage, mistakes to avoid when purchasing a house, and a bank of frequently asked questions. For home loan guidance and receiving multiple offers at once, LendingTree is the place to go. Lenda is a direct lender that makes it quick and easy to apply for a mortgage. Rather than requiring tons of paperwork, you can upload all of your documentation directly online. They are known for their excellent customer service. If you’re worried about the amount of cash it takes to close, consider getting a quote from Lenda. With low overhead costs, they don’t charge origination fees or broker fees, but still stay competitive with interest rates. Plus, the average time to closing is just 13 days, which is much faster compared to the rest of the industry. There are also plenty of options for the length of loan terms. It’s still a growing company and may not be available in your state. They are currently only available in Arizona, California, Colorado, Florida, Georgia, Illinois, Michigan, Oregon, Pennsylvania, Texas, Virginia, and Washington. Check with them to see if they’ve expanded to your specific locale before gathering information for a quote request. Offering home loans in all 50 states, loanDepot works with a wide range of borrowers. The minimum credit score for most loans is a 620; however, some government-insured programs may allow your score to be as low as a 580. You also have access to a variety of mortgage options. loanDepot provides both fixed and adjustable rate mortgages, as well as jumbo mortgages, FHA loans, and VA loans. If you want to talk over these choices, you’ll appreciate the lender’s no steering policy. That means your loan officer doesn’t receive any kind of incentive to point you in any one specific direction, so you can trust the advice you get. Do keep an eye on your origination fees with loanDepot. Depending on your application, those could cost you anywhere between 1% and 5% of your home’s purchase price. 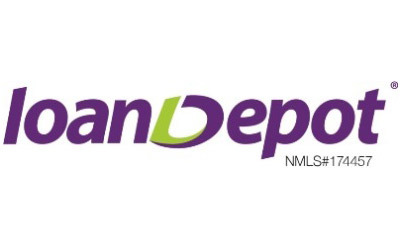 While the first step of any mortgage process with loanDepot is to talk to a loan officer, the application process itself occurs online. That means you can do the bulk of the work at your own convenience. 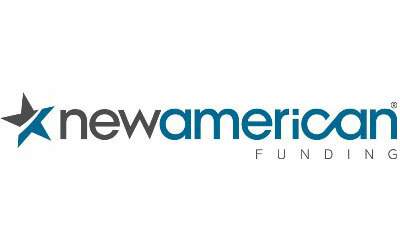 New American Funding is a direct lender offering conventional, FHA, and VA loans. You can also explore options for a mortgage that includes a home renovation loan. Less common available loan types include jumbo loans, reverse mortgages, and interest only mortgages. Once you have an idea of what you’re looking for, go step-by-step through their questionnaire to get more details on potential loan terms you could qualify for. Rocket Mortgage is a great pick if you prefer applying for a mortgage from the comfort of your WiFi connection. 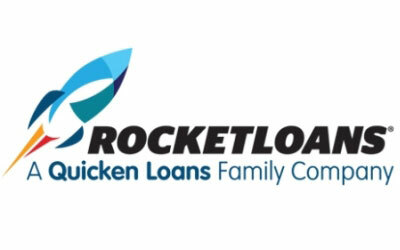 A branch of Quicken Loans, Rocket Mortgage’s online application process is extremely streamlined with an approval time of just a few minutes. You can also avoid the hassle of paperwork by using a secured platform to share your financial information. Once you have your proposed interest rate, you can test out different house prices and down payment amounts to create a customized monthly payment. Once you get a contract on your new home, closing is easy and takes place at a location of your choice. Alliant offers both fixed and adjustable rate mortgages and you can qualify with a down payment as low as 3% of the price of the home. On a $200,000 house, that equates to just $6,000 needed in cash for your down payment. You can qualify anywhere in the country and enjoy a low origination fee of just $995. 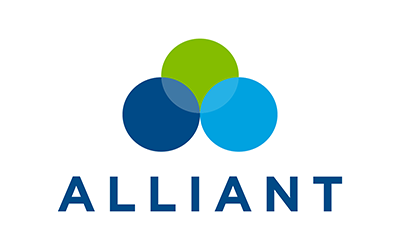 If having cash-on-hand is an issue for you when purchasing a home, check out Alliant to see how they stack up to other mortgage lenders. 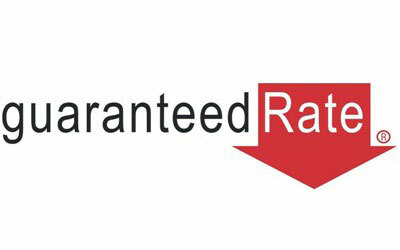 Guaranteed Rate originated about $23 billion in mortgages for 2016, which is no surprise. The easy-to-use website allows you to get an idea of your qualifying interest rates by inputting just a few details about your estimated credit and the type of home you’d like to buy. You can then browse several types of loans to see your interest rate and APR options. It’s extremely easy to compare options to get an idea of which kind of mortgage is best for you. You can also browse their Knowledge Center for tons of in-depth resources on the home buying process. 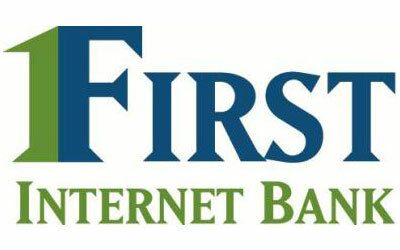 Solely based online, First Internet Bank allows you to complete the entire mortgage application process from your own home. However, you can still call to talk to them on the phone whenever you’d like. They also offer a wide range of loans, including conventional, FHA, VA, USDA, and jumbo loans. You can get a personalized rate in less than a minute and can even sign up for email alerts to track rates as you shop for houses. Getting pre-qualified takes just moments, and you can then submit the appropriate documentation to get pre-approved. This extra step gives you a leg up on the competition once you’re ready to make an offer on a home. 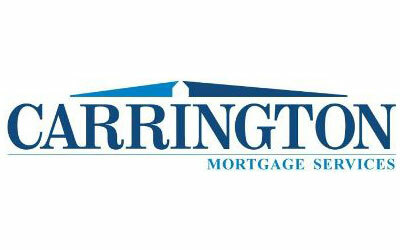 If you have a question about a loan, you can chat with a Carrington representative from 7 a.m. until 6 p.m. PST. They’ve even been featured on Lifetime’s Designing Spaces. So it should go without saying that Carrington is available and they want your business. Peruse their website and you’ll see how user-friendly it is within moments. They have a list of mortgage tools that will help you understand what you can afford. They also have a step-by-step guide outlining the loan application process, a list of common mortgage terms that banks use, an explanation of loan types, and a mortgage application checklist. Perhaps more than any other company, Carrington knows that most people don’t live and breathe mortgage banking; however, even if you do, you’ll likely pick up a thing or two. With an intuitive, user-friendly interface, and great rates to boot, Carrington Mortgage Services is a top notch mortgage company. SunTrust has a large online presence for mortgages in addition to its physical branches throughout the country. You can create an online account to apply for a home loan or enter in your zip code to find a location near you. They offer a suite of mortgages on top of the typical government-backed loans, including high-cost home financing. Alternatively, if you meet certain income eligibility requirements, you may qualify for a HomeReady/Home Possible loan, which can help make homeownership more affordable. SunTrust also offers a unique Doctor Loan program to help licensed medical interns, residents, and fellows to qualify for a mortgage. 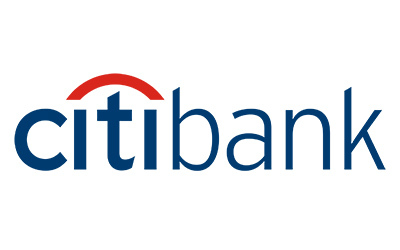 CitiMortgage is all about finding the loan that’s best for you. Much of its website is devoted to understanding how much you can afford. Unlike many other lenders, CitiMortgage wants you to have a firm grasp on your finances so you reduce the risk of default. In addition to getting you the loan that works best for you, they also offer a lot of refinancing options, such as HARP. This loan program helps homeowners take advantage of low interest rates even if they don’t have much equity in their home. CitiMortage also prides itself in working with the White House in support of the SCRA Benefits Outreach Program for active and retired military service members. This allows approved homeowners that have served or are serving in the military to make reduced monthly payments. Prequalify online within minutes, and from there you can start making smart decisions about your future home. 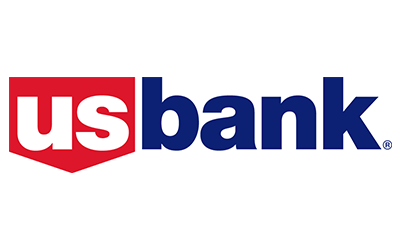 US Bank offers conventional fixed-rate loans, VA loans, ARMs, and FHA loans. Want to design and build your dream home? They even have new construction loans and investment property loans. It takes a special kind of person to speak ‘loan talk’, and chances are you probably have a few things you could learn. That’s why they have a “loan officer near you” app that lets you speak with someone who’s knowledgeable about your area and what it is specifically you’re looking to purchase. You can also directly dial up their national number and someone will speak to you right then and there. Indeed, they do offer everything a mortgage company should, and then some. They even have an FAQ section that answers questions you didn’t even know you had. 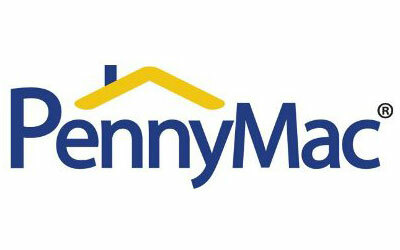 Operated completely online, PennyMac boasts low interest rates and offers a wide range of mortgage loans. And unlike many lenders, they won’t sell your loan to a servicer as soon as you close. Instead, they take care of your loan until the end. If you’ve ever owned a home before, you know it can be frustrating to constantly have to make new passwords every time your mortgage is sold. With PennyMac, you can trust that if you like the service from the beginning, you’ll keep receiving it through the life of your loan. Voted the third best mortgage company in America for two years in a row, and the 12th largest mortgage company in America, Caliber should definitely be on your shortlist. In addition to giving great loans, they also routinely help homeowners refinance. If you have any questions, they have a toll-free number where you can discuss your situation with customer service. You can also get introduced to a local branch near you by providing a bit of your information. This is almost always better because the advice goes from being generic to specific within moments. 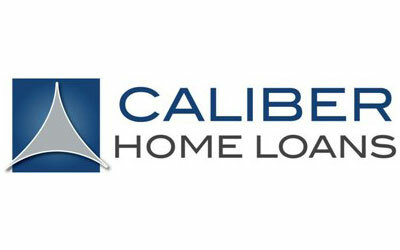 Caliber also offers conventional loans as well as government-assisted loans. Additionally, they serve 94% of the loans they close, which means your loan won’t be bought by another company as soon as you sign your closing papers. What should you look for in a mortgage lender? Choosing a mortgage lender is a big decision, so give yourself time to make it an informed one. If you’re interested in a particular type of loan, such as a VA loan or a USDA loan, make sure the lender actually offers it. Pick at least two or three lenders to compare pre-qualification offers. Take a look at the interest rate they offer you, whether the rate is fixed or adjustable, and what your monthly payments will be. Make sure they include an estimate for taxes and insurance, not just your principal and interest because that can make your payment increase by at least a couple hundred dollars. If you live in a more expensive area like a major city, expect to pay even more for property taxes. You can always refinance to get a lower rate down the road, but it’s expensive because of closing costs. Next, compare the closing fees of each mortgage lender. Some of the expenses won’t change from lender to lender. A title search, for example, will cost about the same amount regardless of what lender you go through. Origination fees, on the other hand, can vary greatly. Expect to pay 3% to 5% of the loan amount for total closing expenses. Which end of the spectrum you end up on can make a huge difference in how much cash you’ll need. A good lender helps you explore your options based on how much cash you have and how long you plan to be in the home. If you have extra money and plan on making your new place your “forever home,” it may be worth paying extra points at closing in exchange for a lower interest rate. Ask each lender for different scenarios to see which best fits your individual needs. How can you get pre-qualified for a mortgage? There are two ways to start the mortgage process: a pre-qualification and a pre-approval. Getting pre-qualified is an informational step to get an idea of what rates to expect and how much you can borrow based on your income and debt levels. You don’t have to supply any documentation and instead input your own financial information. The quotes you receive are not set in stone and are subject to change with your official application. But it’s good to find out what type of loans you should consider, how much cash you’ll likely need, and what price range of home you should look at. However, you’ll need more to actually make an offer on a home because most sellers don’t view a pre-qualification as official enough to indicate likely financing. If you live in a competitive market, your offer will probably be passed over for someone who has a pre-approval letter. So what’s a pre-approval letter? This takes the pre-qualification process one step further. You essentially submit your entire loan application and all of the accompanying documentation. This includes things like your tax returns from the last two years, bank statements, explanations of any negative remarks on your credit history, and employment verification. The lender also performs a hard pull on your credit report to determine your interest rate. It takes a bit of time, but once you’ve been pre-approved, the lender provides a letter stating how much of a loan you qualify for and how much down payment you can provide. 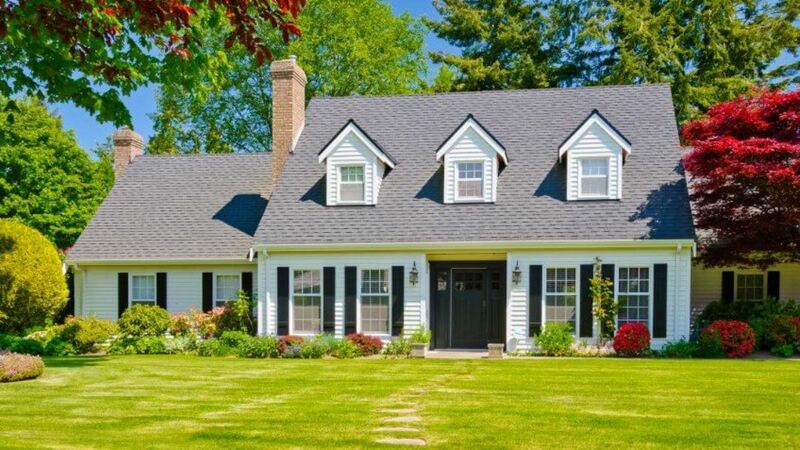 When you submit an offer on a house, this addition makes it much stronger because the seller knows that you’re likely to get approved for the mortgage. Once your offer is accepted, you can lock in an interest rate with your lender for a certain number of days. What happens after the pre-approval process? Once your offer is accepted, you can supply your loan officer with any additional information they may need to complete your application. Your documents are then sent to an underwriter who does a final evaluation of your information. Most loan officers are good about doing their due diligence upfront so they’re not sending underwriters applications that aren’t likely to get approved. In some instances, you might not get approved, like if you lost your job or your credit score took a huge drop for some reason. Otherwise, you’ll hopefully sail through the underwriting process. In the meantime, other players will be doing performing tasks to get ready for your closing day. Someone will make sure the title of the home truly belongs to the seller so that it can legally transfer to you. They’ll also make sure there aren’t any tax liens that could prevent closing. You’ll also be overseeing a few things, like the inspection process and repair negotiations. If you need to transfer money out of savings or investment accounts for the down payment and closing fees, you should also do that. This is especially important if it’s a large amount of money because your bank may require a holding period before giving you access to your cash. The sooner you get started, the better. On closing day, you’ll meet a notary at a local spot, often of your choosing. Your real estate agent will also join you. You’ll sign lots of paperwork and then be handed your keys! Once you move into your home, keep an eye out for mail from your lender. The lender you start out with may immediately sell your loan to a loan servicer. Pay attention so you know if you need to change where you send your payments.